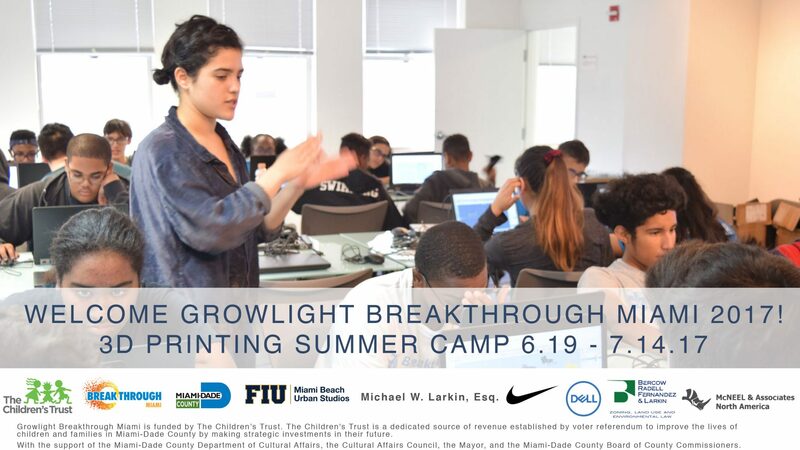 Growlight/Breakthrough Miami is a four-week summer camp held at the Miami Beach Urban Studios that focuses on design, art, technology, urbanism and public policy. Growlight is a summer program that provides an intense and enjoyable introduction to architecture and the related disciplines of landscape and interior architecture. Organized by Florida International University’s College of Communication, Architecture + the Arts (CARTA) and Breakthrough Miami, the program takes advantage of the College’s Miami Beach Urban Studios on Lincoln Road to introduce students to the area’s rich cultural context and to use the city as a laboratory in which to study the relationships between design and the built environment. 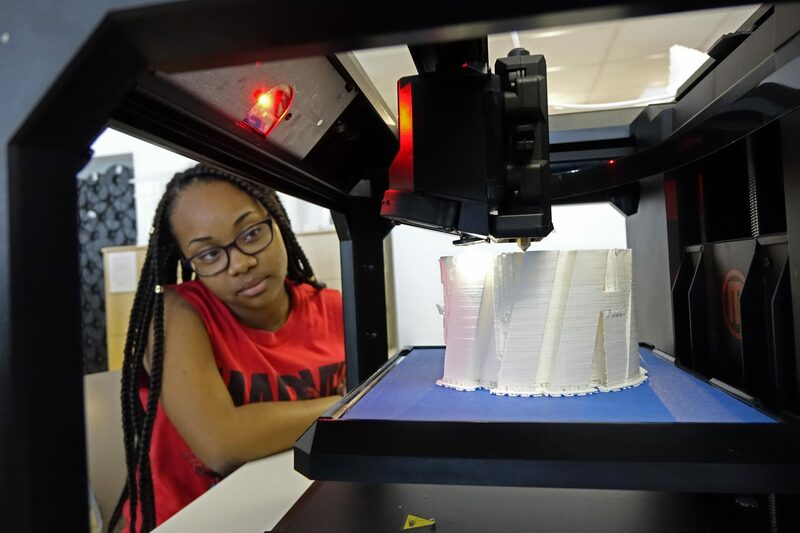 The program focuses on 3D printing, which is integrated into each aspect of the curriculum and allows students to use cutting-edge 3D printing technology to explore design, art, urbanism, and the environment.  Participants spend a considerable portion of each day working on design projects, and engage in group discussions with faculty from FIU’s Department of Architecture. Guest lectures by prominent local practitioners and guided walking tours in Miami Beach enhance the learning experience by demonstrating the impact of design on our world. Participants spend each day taking three classes which follow the structure of a college design program. The day begins with a class that introduces students to freehand and measured drawing techniques, then proceeds with a course in digital modeling and 3D printing; Students spend the afternoon in a design studio, where they work intensely on design projects that allow them to apply their drawing and modeling skills on small design projects. In keeping with Breakthrough Miami’s philosophy of students teaching students, all three courses are taught by exceptional graduate students in FIU’s CARTA, who work with the students as both faculty and mentors. Breakthrough Miami is a program that provides first-rate enrichment opportunities to high achieving students from under resourced backgrounds. Photos of Breakthrough Miami Design Summer Camp Click, here. 2016 Summer Breakthrough Deasign Discovery pictured above. On the left, CARTA Associate Dean for Students, David Rifkind sketches with students in the Soundscape Park outside the New World Symphony. In the above right, FIU graduate students and FIU AIAS President Patricia Elso works with students on 3D modeling. 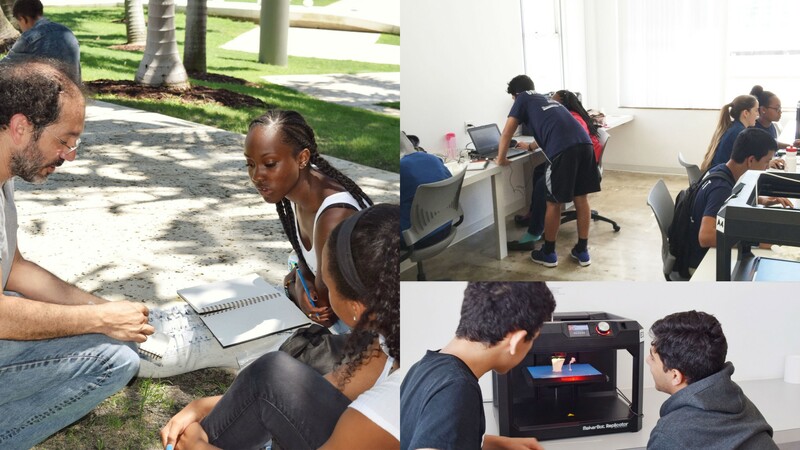 Bottom right, students working with a MakerBot 3D printer in FIU’s CARTA Innovation Lab at the Miami Beach Urban Studios.